No use in pretending - I openly admit that I've never been much of a fan of Westerns. I was born just a little too late to embrace them during their heyday. Though they've experienced periodic revivals - most notably during the early Nineties, when Westerns grabbed Best Picture Oscars two of three years - I haven't been able to develop much of an affection for them. 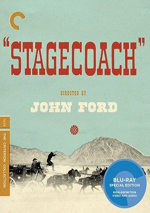 Nonetheless, I've seen a few I like - the classic Stagecoach impressed me most - and I'm happy to check out more of them to learn more about the genre. As such, I was pleased to check out a "later-career" John Wayne piece, 1969's True Grit. Wayne continues to remain the definitive American icon, and it's exciting to witness more of his work. However, while Stagecoach impressed me mightily, this much-later efforts seemed less compelling. Probably my least favorite aspects of Grit come from the weak performances by Kim Darby and Glen Campbell. Actually, I might not call Darby's work as revenge-minded Mattie Ross "poor", because I don't think she acts badly in the part. However, she really got on my nerves. The character is an obnoxious little priss who gets stuck with the script's worst lines; she's the one who has to incessantly spout off about how Cogburn has "grit - true grit!" I hate stories that telegraph their titles, and Grit offends in that regard. I suppose I should be happy that the film never takes time out to feature a song from Campbell - unlike the otherwise-excellent Guns of Navarone, which squeezes in a tune from James Darren - but I still disliked Campbell's work anyway. As with Darby, Campbell gets stuck with more than his fair share of silly dialogue, and he has even more trouble making it work. Campbell seems too inconsequential for me to believe him as a mildly tough lawman; the whole flashy "Rhinestone Cowboy" gig was more his style. 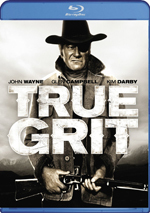 True Grit appears in its original theatrical aspect ratio of approximately 1.85:1 on this Blu-ray Disc. While not flawless, the image looked attractive. Sharpness was usually solid. A few wide shots suffered from some minor softness, but those instances weren’t significant. Instead, the movie mostly came across as well-defined. Jagged edges and shimmering caused no problems, and edge haloes were absent. Source flaws also remained minor. I saw the occasional speck or mark, but most of the movie appeared clean. With its western setting, Grit didn’t boast a dynamic palette. Nonetheless, the hues appeared lively and full within those parameters. Black levels were good, and shadow detail appeared satisfying without becoming impenetrable. The softness and flaws made this a “B”, but it was a strong “B”; I easily could’ve gone for a “B+” instead. This release boasts a modern DTS-HD MA 5.1 soundtrack. It remixes the original monaural audio; that version also appears on the Blu-ray. The 5.1 track seemed perfectly passable but not anything memorable. The soundfield remained subdued. The side speakers demonstrated minor ambiance during street scenes and action shots. These offered decent spread and a little movement but weren’t especially active. Music came to us with fairly vague imaging. The songs and score blended across the front in a way that created mild localization. As for the surrounds, they played a minor role. They may have reinforced the material, but I thought the front channels strongly dominated the piece. Audio quality was acceptable. Though dialogue tended to be thin and without much fullness, the lines remained concise and easily intelligible. Music also suffered from lackluster definition. Treble dominated and little low-end material could be heard. Similar tendencies affected the effects, which were clear but not particularly lively. The emphasis on high-end information left this as a clean track that needed more dimensionality to prosper. It wasn’t bad, but it didn’t excel in any way. How did the picture and audio of this Blu-ray compare to those for the Special Collector’s Edition DVD from 2007? I thought the two soundtracks seemed pretty similar, as both exhibited the same strengths and weaknesses; I didn’t feel the DTS-HD mix improved on its predecessor, as both remained somewhat edgy. On the other hand, the visuals boasted nice improvements. The main step up came from the lack of edge enhancement; haloes dogged the DVD and made the image awfully soft. That was the main change for the better, but it was a big one; the haloes dominated the DVD in such a way that they harmed every aspect of the image. All the 2007 DVD’s extras reappear here. In addition to the film’s trailer, we start with an audio commentary from Western genre film historian Jeb Rosebrook, historian/True West Magazine editor Bob Boze Bell and American west writer/historian Dr. J. Stuart Rosebrook. All three sit together for this running, screen-specific discussion. Their chat covers the adaptation of the original novel, locations, historical accuracy and period details, the way the movie reflects the era in which it was shot, cast and crew notes, themes, and other production topics. 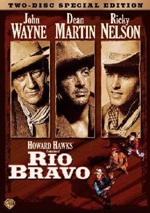 They also attempt to place Grit in perspective with comparisons to other Westerns. The three men create a pretty informative commentary. They examine a nice variety of subjects connected to the film and explore them in a reasonably rich manner. Unfortunately, the track starts to sag a bit after the movie’s first act. It still works pretty well through the movie’s conclusion, but it doesn’t steam ahead quite as briskly as during the first 40 minutes or so. I also would’ve liked to know more about the production itself rather than historical details; those get a little ponderous at times and aren’t always particularly interesting. Nonetheless, there’s a lot to like in this reasonably informative commentary. Four featurettes follow. True Writing goes for four minutes, 29 seconds as it presents a mix of movie shots, archival materials, and interviews. We hear from Stuart Rosebrook, Jeb Rosebrook, Wildest Westerns magazine editor Ed Lousararian, and actors Jeremy Slate and Kim Darby. “Writing” tells us a little about the novel, its adaptation, and screenwriter Marguerite Roberts. It lets us know some interesting facts – such as how Roberts had been blackballed as a communist – but mostly acts as a fluffy appreciation for the text. It doesn’t prove especially enlightening. Next we get the 10-minute and 15-second Working with the Duke. It includes notes from Lousararian, Slate, Darby, Jeb Rosebrook, Stuart Rosebrook, United American Costume Company’s Luster Bayless, and actor Glen Campbell. 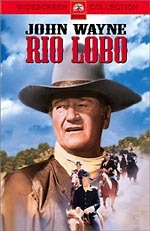 As implied by the title, “Duke” looks at John Wayne’s acting and what he was like as a co-star. We get some nice notes about his see-through eye patch, his style on the set, and his real life personality. However, these remain pretty puffy much of the time. There’s enough decent content to make it work, but it doesn’t dig into its topic with much depth. Aspen Gold: Locations of True Grit runs 10 minutes, 197seconds and features Ouray County (Colorado) Plaindealer newspaper staff reporter Robb Magley, Ridgway (Colorado) Chamber of Commerce president Barbara Morss, True Grit Café co-owners Tammee and Dale Tuttle, Ridgway area cattle rancher Duane Beamer, Ouray County administrator Connie L. Hunt, and mineral farm conservator Steve Caldwell. “Gold” takes us on a nice tour of the Colorado spots used in the film. We get a good overview of how they look today and learn about their history in this informative little program. Finally, The Law and the Lawless fills five minutes, 46 seconds and presents remarks from Bell and Autry National Center’s Carolyn Brucken. We find some notes about law enforcement and crime in the old west. It’s a light and interesting piece, though it seems woefully short for such a broad subject. I’d have preferred a longer, more detailed examination of the topics, though this works as a decent teaser. True Grit provides a fairly ordinary Western experience from John Wayne's final years as an actor. It offers only a mildly entertaining adventure, as it suffers from a hokiness that harms it. The Blu-ray gives us pretty good picture, acceptable audio, and a decent roster of supplements. I don’t think a lot of the movie, but the Blu-ray brings it home in a satisfying manner.